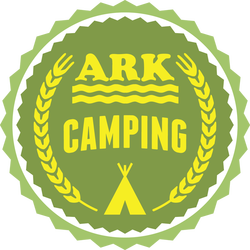 ﻿Offering alternative lodging to travelers in Kapan in the form of ecofriendly campsites, which we call 'ecocamps', is an enormous part of what we do at ARK Armenia. We currently have two ecocamps in which travelers and volunteers can find respite as they explore the breathtaking beauty of the Kapan region of Armenia. The first is The Kapan Camp, just a 15 minute walk from the city center, and the second is The Dacha tucked away in the idyllic village of Arajadzor, 12 km outside Kapan. All of our ecocamps are made from 80% recycled material and designed according to permaculture standards. Surrounded by flowers, fruit trees and light agriculture, our goal is to blend native plant species with organic food-growing practices that are chemical-free, prevent erosion and can act as a model of sustainable agriculture to the surrounding community. We are more than happy to provide travellers staying at our eco-camp information on the culture, history and environment of Kapan and Armenia; to taste its local cuisine, visit its sights and meet its people. We hope our camps will be a catalyst for Kapan, enhancing its exposure to tourists while bringing benefits to the local community. Click on the links below to make a reservation today!